Saint Barnabas Primary School is founded upon core values. 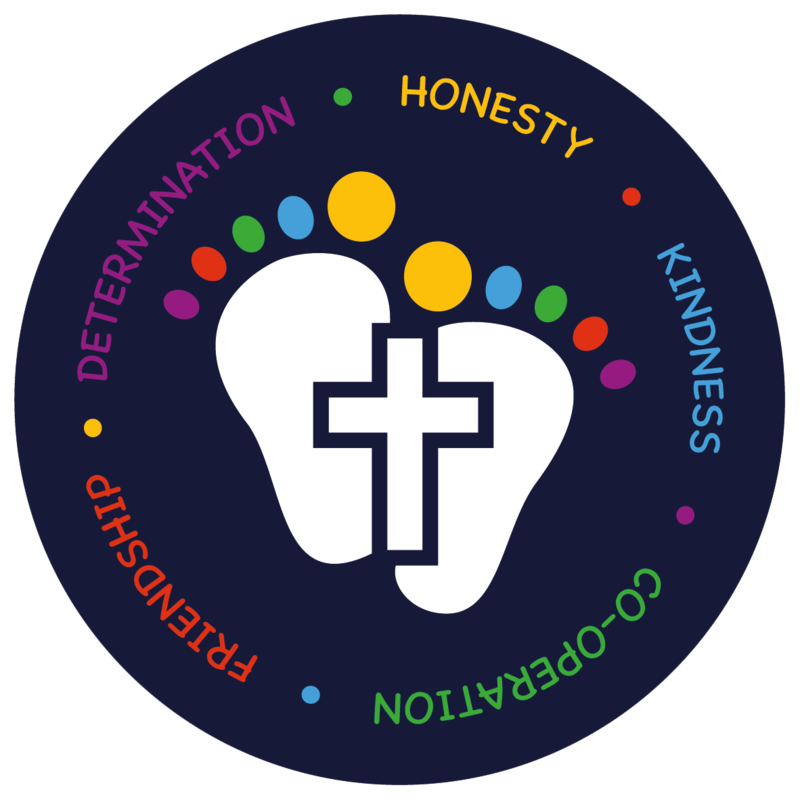 Although Christians have many values the school focuses upon Honesty, Kindness, Co-operation, Friendship and Determination. These values were selected by the extended St. Barnabas Family. Children, parents, Governors and staff all chose their top five christian values. The Worship Council then determined which five the school would focus upon. To support our school values, the themes for Collective Worship are changed each half term and reflect values to support the social, moral, emotional and spiritual growth of our children. Our principal values of friendship, kindness, determination, forgiveness, honesty and co-operation are also explored, deciding what is distinctively Christian about these particular values. Also, many other values are explicitly taught throughout the school day such as; respect, courage, trust and appreciation. To enable pupils to discover and develop their talents and abilities to their full potential by setting positive and realistic goals. Creating a happy, safe and co-operative atmosphere that offers equality of opportunity whilst promoting a healthy lifestyle. To promote Christian values within the school as exemplified by the life and teaching of Jesus Christ, at times specifically embracing the tenets of the Church of England; and to encourage in pupils a sense of commitment, self-reliance, responsibility, respect for others, a respect and understanding of other faiths and cultures, and a healthy self-esteem. To establish and maintain a positive atmosphere within which pupils, parents, staff and governors are well informed; where staff have a clear understanding of their role and are committed to the full development of each pupil. To utilise and develop the differing strengths of all members of staff (teachers, teaching assistants and non-teaching staff) to the benefit of the children and to use Performance Management as a tool for their own professional development, self-esteem and self-fulfilment. To prepare children for life as citizens in the wider community beyond school, by study of and involvement in the local community and by encouraging parents, visitors, outside agencies and religious representatives into the school. To maintain a well ordered and equipped building, using the space available to its full potential, encouraging an attractive and well cared for site; ensuring that adequate and proportional funding is available for resource provision and site maintenance.